The cylindrical case for Mini-ITX boards supposedly promotes natural airflow, but mostly it just looks neat. 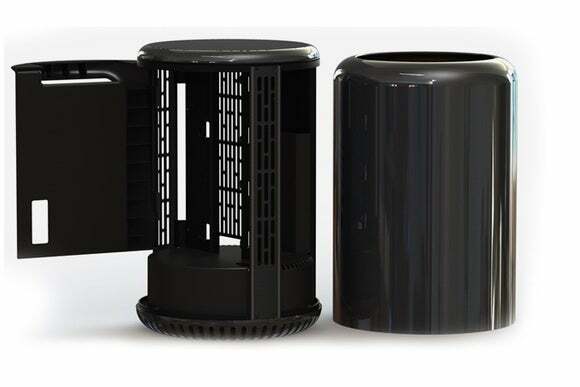 A new desktop PC case aims to combine the style of a Mac Pro with the flexibility of a custom Windows rig. Dune Case is a $200 PC enclosure with a cylindrical design. 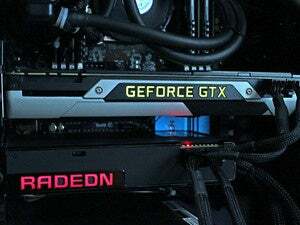 It supports Mini-ITX motherboards, along with a standard ATX processor, Mini-ITX graphics card, and SFX power supply. The case, which comes in metallic black or gold, weighs 5.7 pounds, and measures 10 inches tall by 8.5 inches in diameter. 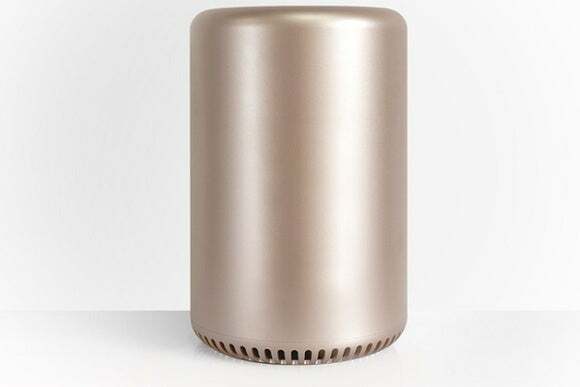 Aside from just looking more impressive than a boxy desktop, the Dune Case’s design supposedly improves circulation. 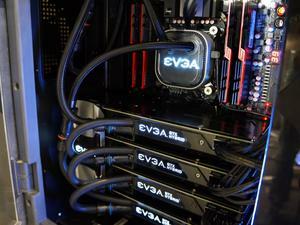 Cool air comes in from the bottom, where the power supply mount splits air into separate CPU and GPU chambers. A case fan blows out hot air through a lid at the top. Other specs for the case include dual 2.5-inch hard drive mounts, four USB 3.0 ports, two 3.5mm audio ports (for mic and speaker), dual HDMI or DisplayPort 1.2 outputs, and ethernet. In other words, one might be skeptical about stuffing hundreds of dollars of PC components into this case without a little more evidence of it working. If you’re undeterred, the makers of Dune Case claim they’ll start delivering the product in July to Kickstarter backers. Why this matters: Assuming the product does work as advertised, it would be a refreshing alternative to the often dull array of Mini-ITX cases. While we’ve seen some PC makers crack the mold with fully built systems—MSI’s recently-announced Vortex being one example—the cost savings that come from custom builds could help take the sting out of the case price itself.